The new year brings new hope, new goals, new desires and it is a time for celebration. Browse through these New year messages and share the one(s) you like. The New Year gives you fresh 365 days to play with … so fill them up with whatever your heart desires so that you have no regrets at the end of the annual cycle. I wish you a great, prosperous, blissful, healthy, bright, delightful, energetic and very happy new year. May you accomplish your goals for this New Year. I know you can do it. The very best wishes for New Years. May this new year bring simple joys and happiness to make your year greater and more successful than it ever was. 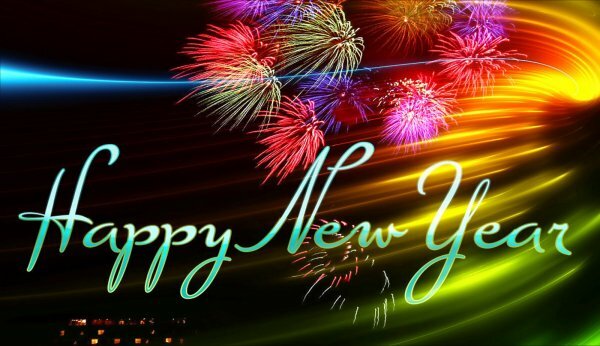 May you have an abundant and amazing New Year ahead of you and may all your dreams come true. Have a truly fantastic New Year! Wishing you a New Year that will sparkle with fun and in high spirits. Have a wonderful New Year! And to you, dear visitors, have a Happy New year!